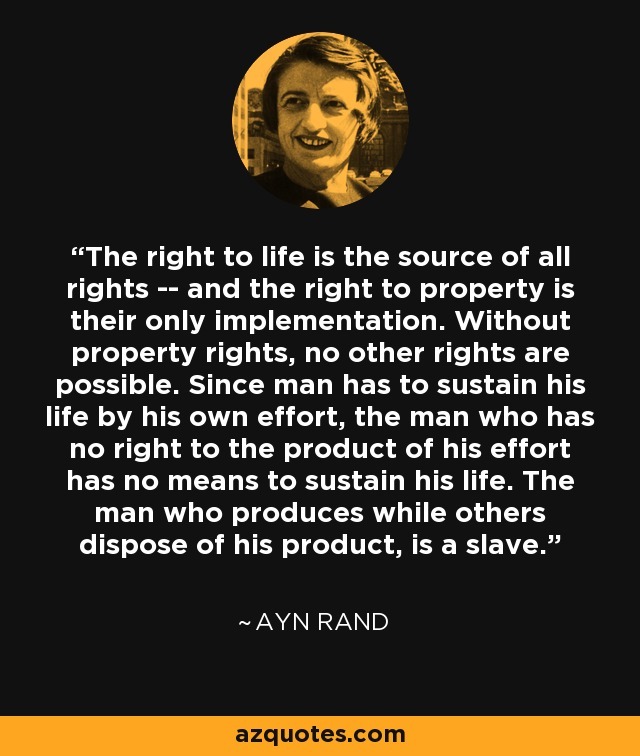 The right to life is the source of all rights -- and the right to property is their only implementation. Without property rights, no other rights are possible. Since man has to sustain his life by his own effort, the man who has no right to the product of his effort has no means to sustain his life. The man who produces while others dispose of his product, is a slave.